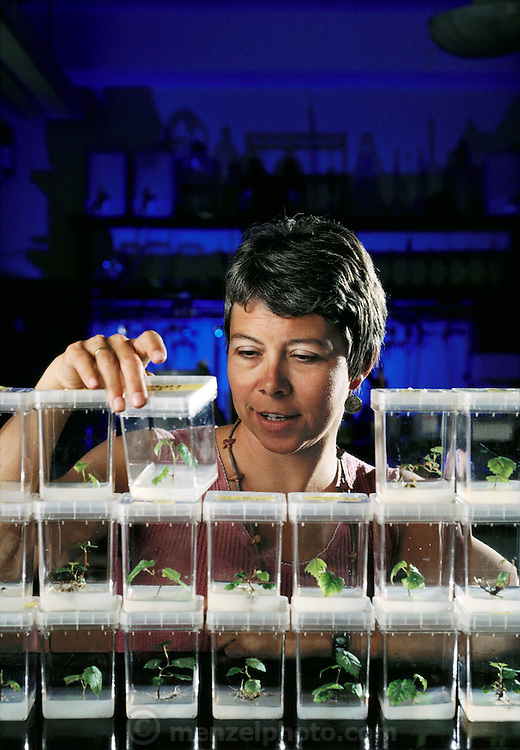 Carole Meredith with Cabernet Sauvignon wine grape seedlings, grown from tissue culture, UC Davis, California. Viticulture/Oenology. MODEL RELEASED. USA.